Chef Kyle tells us how to add some holiday creativity to leftovers. Photo: Ann Coen. 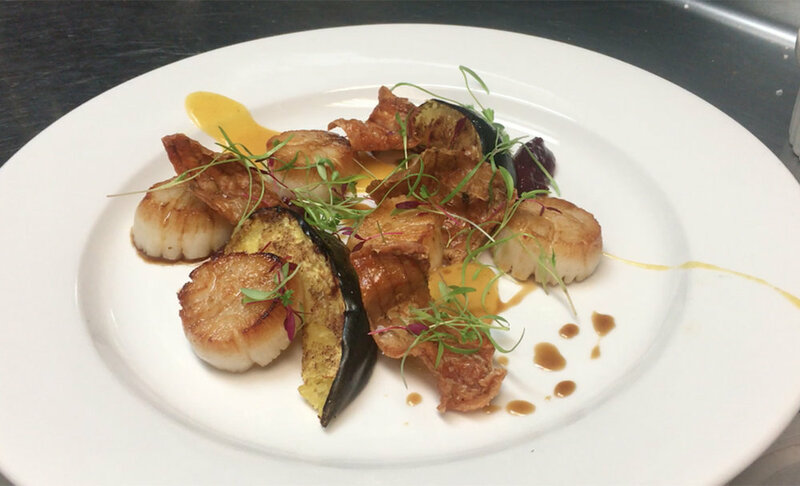 “For making the scallop jus, we save all the abductor muscles of the scallops. It’s part of our philosophy of waste not/want not. We brown those with butter, add a little stock, braise with brandy and cook it all down. It makes a nice, shellfishy, thick sauce.